Manuka Doctor did cause a buzz in the beauty world with their patented Purified Bee Venom in skincare. And once beauty editors and influencers across the globe tested their products, there was no stopping its popularity. However, it's now got celebrity status thanks to Kourtney Kardashian, so it's fair to say this bee inspired beauty range has gone viral. “I have been using the Manuka Doctor Honey line for many years, and as fans of my show have seen, I am an advocate of products that use natural ingredients. I am incredibly excited to have this opportunity to work with a brand I believe in and introduce it to people around the world,” says Kardashian in a press release sent this morning. The line currently consists of a range of products that combat a variety of skin conditions, from blemish prone skin to ageing skin. My pick of the ranges include: Manuka Doctor Brightening Facial Oil, $30 and ApiRefine Gold Dust Firming Serum, $40. You only need a small amount of the Purified Bee Venom in a face cream to kick start skin healing. Including scar reduction, smoothing fine lines and erasing sun damage. 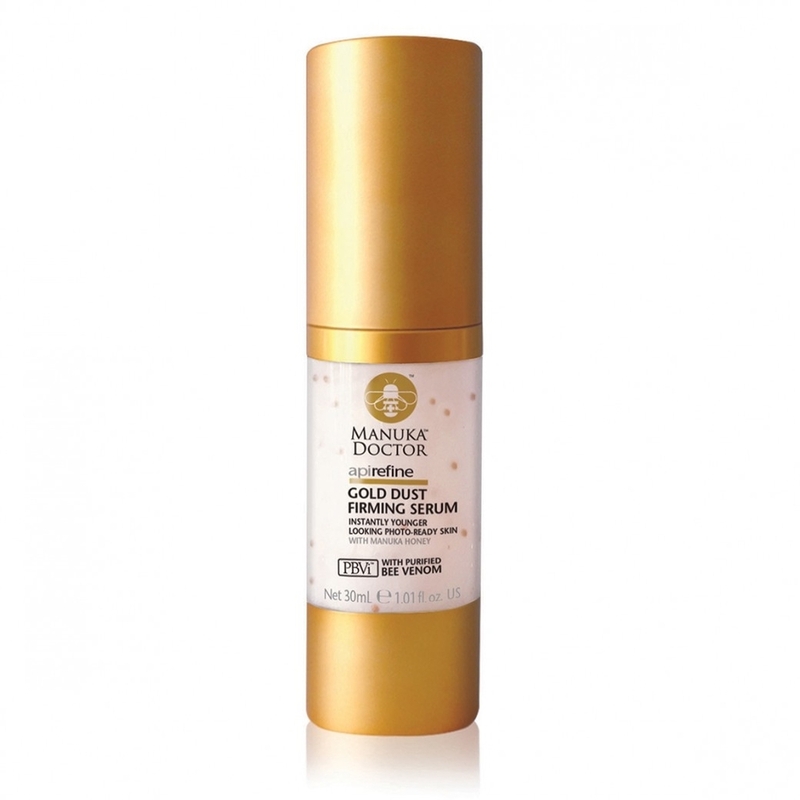 Manuka Doctor uses 100% bee-friendly concentrated ingredients and refined for cosmetic use. Manuka Doctor is available in 12,000 stores across the globe.